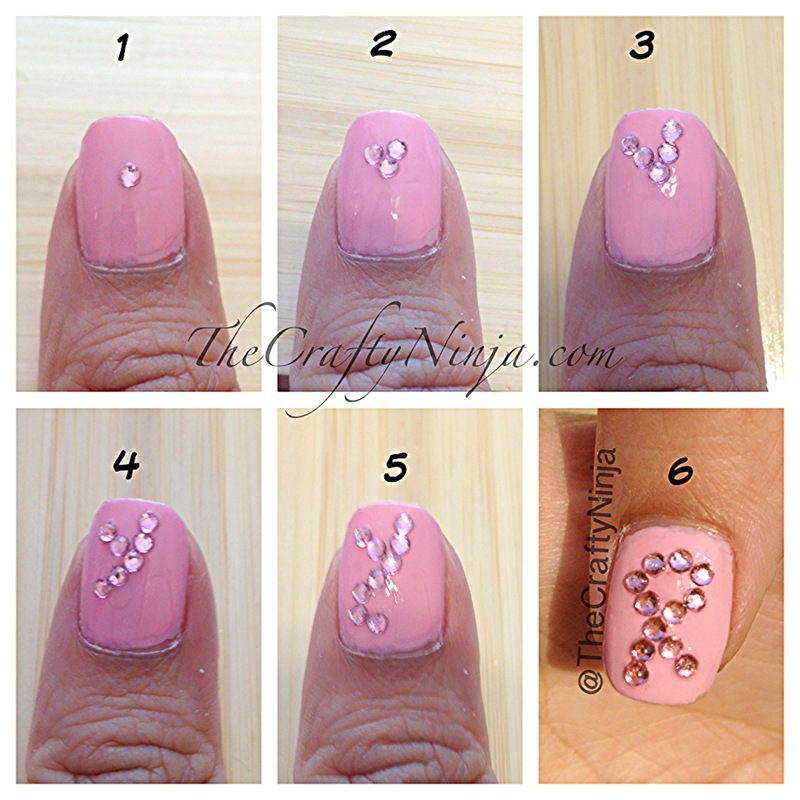 October is Breast Cancer awareness month and I wanted to show my support and create Think Pink nails. The nail polish color is Top Tip Melting Marshmallow and the accent finger has a Sally Hansen glitter polish with gold and pink glitter flakes. 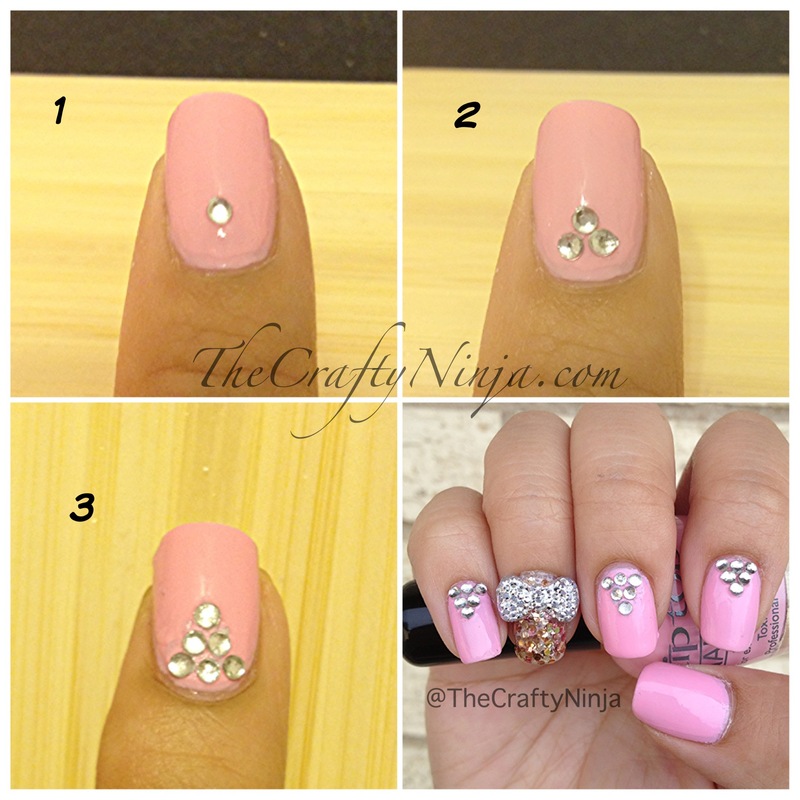 Check out the triangle and ribbon rhinestone tutorials below. Supplies needed: I used a nail dotting tool, purchase here, to pick up the rhinestones, Rhinestone wheel can be purchased here, and Seche Vite Top Coat, purchase here, to glue to the nails. The silver rhinestone bow can be purchased here.